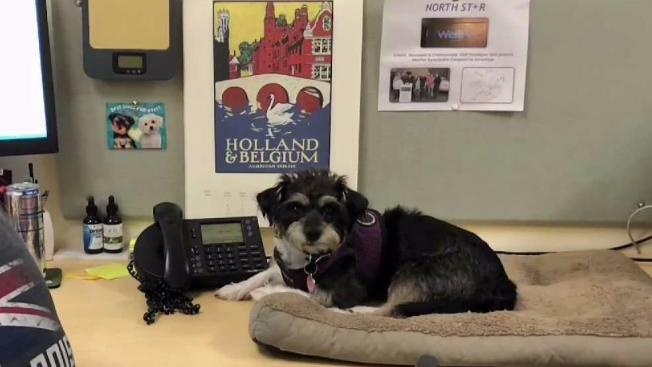 A growing number of companies is allowing its workforce to bring dogs to the office. Do you have a hard time saying goodbye to your dog in the morning? If the answer is "yes," there's some good news for you. More and more companies are letting their employees bring their canine companions to the workplace. Massachusetts-based Harpoon Brewery, ranked third on an annual list of America's most pet-friendly companies, said it began allowing staffers to bring dogs at their Vermont facility. After seeing its success, it began encouraging employees at their Boston office to do the same. The dogs are only allowed in the office and not near where the beer is stored and served. "Productivity did not go down, but blood pressure certainly did and from there we ended up with three, four, seven dogs coming in at a time," said Chris Bonacci of Harpoon Brewery. He said it wasn't a vision they had planned for the company, but a natural progression starting with the CEO who loves dogs, and people bringing them along to work. According to the Society for Human Resource Management in Alexandria, Virginia, nine percent of employers allow workers to bring their pets to work every day. Among them are companies like Google, Amazon and Tito's Vodka. Yet, 37 percent of pet parents say they would sacrifice vacation time and take a pay cut to bring their pet to work, a Wellness Natural Pet Food survey conducted by ORC International found. 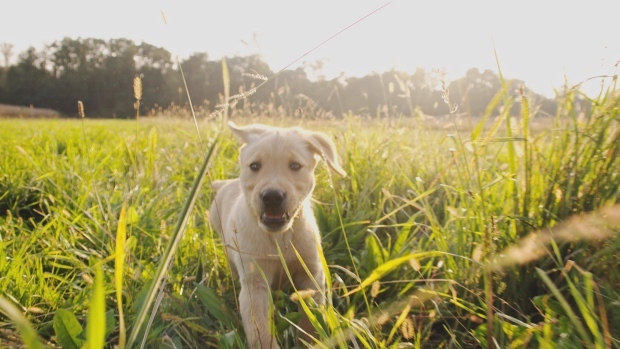 Twenty-two percent of respondents said they'd be more productive with a pet at the office. And 44 percent of the 1,100 pet owners polled said they would consider a career move for a pet-friendly workplace. WellPet says its pet-friendly policy gives the pet food company a competitive edge to entice the best talent. "We know that millennials are going to be a big part of the workforce going forward, and it will even be more important to bring your dog to work. We know they have pets because they are starting families later," said WellPet CEO Camelle Kent. The pups at Harpoon Brewery and WellPet appear more than happy to get some extra love when they clock in for a 9-to-5. Both companies even have "petiquettes" for their four-legged employees to hang around the office. The dogs must be able to get along with other dogs and humans, owners have to take them out regularly for bathroom breaks, and employees must keep food out of their trash bins so the dogs don't eat it. So far, neither company has had problems with others not wanting dogs at the workplace nor has there been any reports of allergic reactions to the dogs, noting that should either of these concerns become a problem it would be addressed on a case-by-case basis.